Estates forming the Paarl Wine Route are in an area surrounding the town of Paarl. The town lies on the bank of the Berg River and is surrounded by the Paarl and Drakenstein Mountains. The Paarl Mountain has a distinct appearance with it's three huge granite domes - Paarl Rock, Bretagne and Gordon Rock. The headoffice of KWV, a national co-operative of South African wine producers is situated in the Main Street of Paarl. 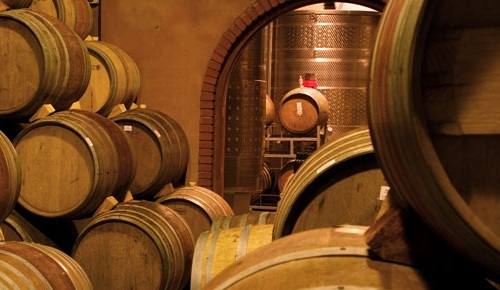 The Paarl Wine Route is much more than wine these days with many of the farms making superior cheeses and olive oils. Annual festivals showcase these farms and the other attractions to be found in the area. 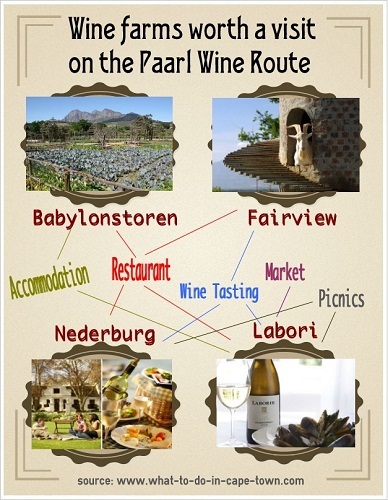 The following farms on the Paarl Wine Route are well worth a visit. Anura has been in the Bouma family since 1990 produces award winning wines regularly. A wide range of Forrest Hill Cheeses are produced and can be bought on the farm. Brie and Camembert are the main focus, but you will find a Danish white and Swiss Mountain Cheese as well. 12 Pigs came is boutique charcuterie producing handcrafted cured and smoked meats from acorn fed pigs. 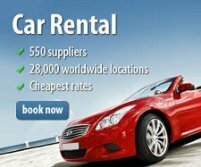 Their philosophy is to provide pleasure and enjoyment to a broad range of wine lovers and with the sole aim to produce wines with a high level of drinkability. The Culinary Academy provides internationally recognised courses. Fairview Estate is a 300ha farm on the south-west facing slopes of Paarl Mountain in the heart of the Paarl Wine district. Standing among the lavender beds in the front garden of the winery, you'll be able to see Table Mountain. Gourmet cheeses are produced in a range of cheeses from Goats milk as well as Jersey cow milk. 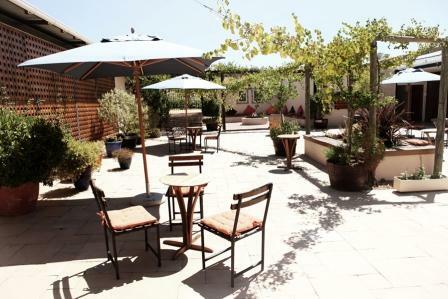 The main tasting room offer standard tasting includes 6 wines & selection of cheeses. 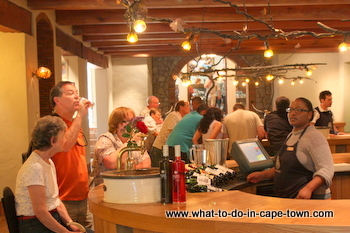 The Beryl Back tasting room is set apart and offers tutored tastings for up to 8 people and includes 8 wines, a selection of cheeses & olive oil. The Goatshed is an informal Mediterranean-style eatery offering light meals and lunches. The restaurant is so-named in recognition of the herd of some 700 Swiss Saanen, Toggenberg and British Alpine goats, bred for their milk. 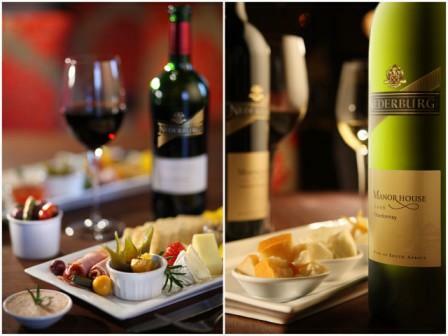 The KWV Wine Emporium is the perfect place to experience South African wine. The Emporium is a multi-sensory experience that will be enjoyed by most wine lovers. 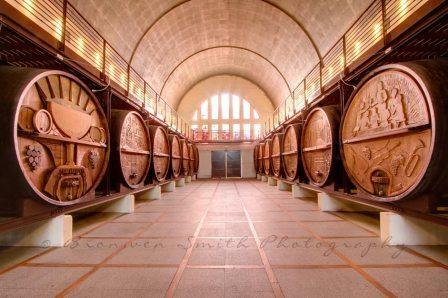 Daily Public Scheduled Tours start with an audio-visual presentation of the KWV followed by a guided tour through a barrel maturation cellar and the world-renowned Cathedral Cellar. The tour ends with an informal tasting of six products. 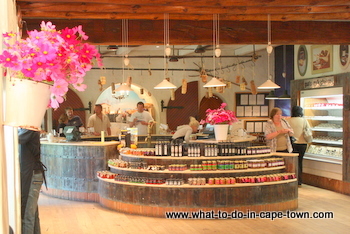 The Wine Shop offers a selection of KWV Wines and Brandies and a range of old vintage fortified wines. 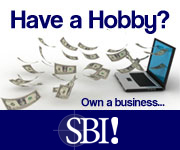 Gift packs and a selection of wine accessories and branded products are also available. 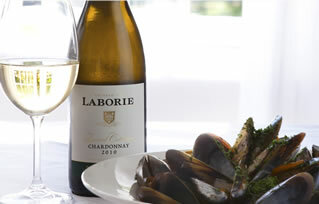 Laborie produces Methode Cap Classique sparkling wines, an array of award-winning wines, an estate brandy and a unique fortified Pinotage dessert wine. Luxury accommodation isoffered in eight guest rooms, with another special room in the historic Manor House with views of the beautiful Manor House gardens, vineyards and the majestic Drakenstein Mountains. Cellar Door is an intimate tasting room where a cozy fire welcomes you in the winter or you can take in the views from the balcony in summer. Boasting modern contemporary decor, the Private Dining Room will host smaller, intimate groups. The Laborie Lazy Days Market, takes place every Saturday from 09h00 until 14h00, offering visitors an exciting and varied selection of lifestyle goods. Nederburg are making wines that are earning trophies, medals and accolades on international and domestic competitions every year. "We don’t make wines to win awards, we make wines to please people’s palates - for the sheer enjoyment of good taste." says Nederburg cellar master Razvan Macici. The Manor House is the venue for the annual Nederburg Concert Series. Top local and international classical musicians perform in a concert series which ends with the popular picnic concert, marking the end of the season, in November. For special events and by appointment, breakfast, lunch and dinner can be arranged for private groups in the Manor House. The manor house is also the venue for a gourmet pairing of Manor House and Ingenuity wines, with contemporary Cape cuisine. 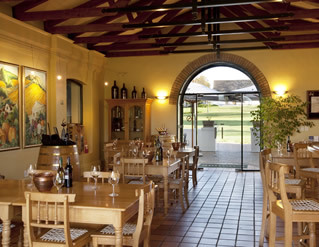 Many of Nederburg’s offerings can be sampled at the winery’s tasting complex with views of the Drakenstein Mountains, vineyards and beautiful gardens. Tours of the farm, the cellars and the historical quarters start here too. 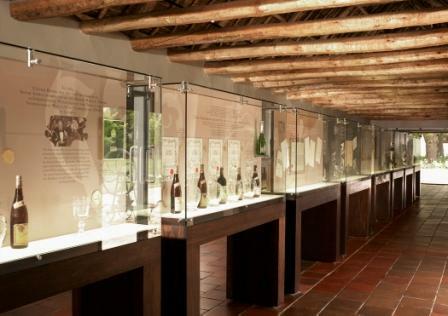 The history of Nederburg Wine Estate is presented as a timeline in the Old Cellar. Complete with the original title deed from 1791, awards, wine and labels of long ago. Rhebokskloof Wine Estate nestles between two valleys at the foot of Paarl Mountain and the natural beauty of the area is further complemented by the positioning of the beautifully restored heritage buildings. The Victorian Restaurant boasts an a la carte menu that changes with the seasons.